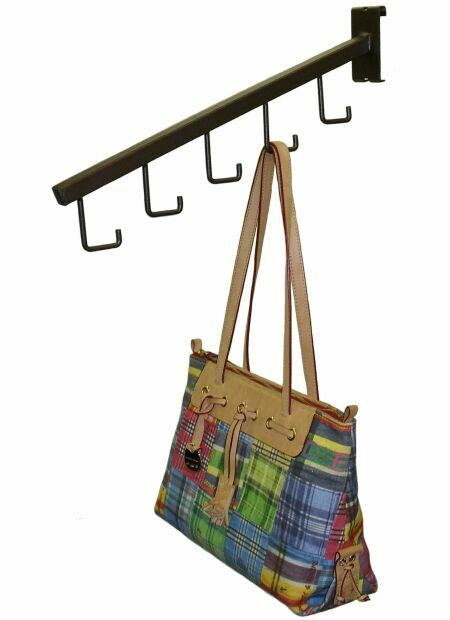 Gridwall Faceout with 5 Hooks is great for display multiple handbags, purses or merchadise with straps. Waterfall design allows easy access to any item. 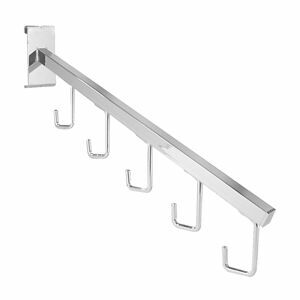 Price: $2.85ea Item #: GW5H Colors: chrome, black, white. Standard Pack: 25 pcs (any quantity can be ordered, broken box fee $3.00 will apply).